With a sturdy aluminium frame, this lightweight and adjustable tripod is the quintessential photography accessory. 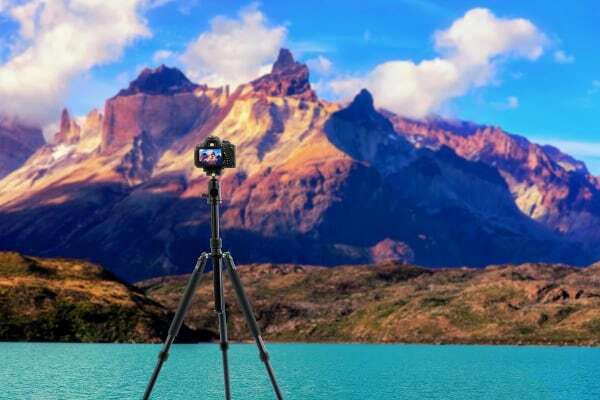 Suitable for the vast majority of DSLRs and digital cameras on the market, this tripod can go on all your photographic adventures with you. 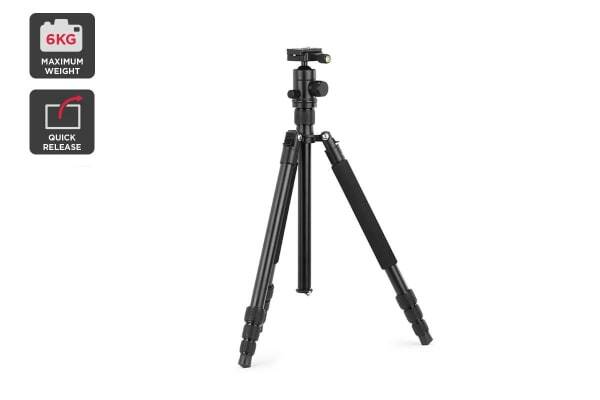 With three different leg lock positions and spirit levels, you can mount your camera at just 47cm from the ground or hoist it up to 168cm to frame the perfect shot. A ball head lets you adjust your positioning to the degree. Featuring a quick release plate, your camera can be removed or mounted in seconds. Adding to the precision of the fully rotational mount, a spirit level and a built-in compass ensure that every component is perfectly aligned. 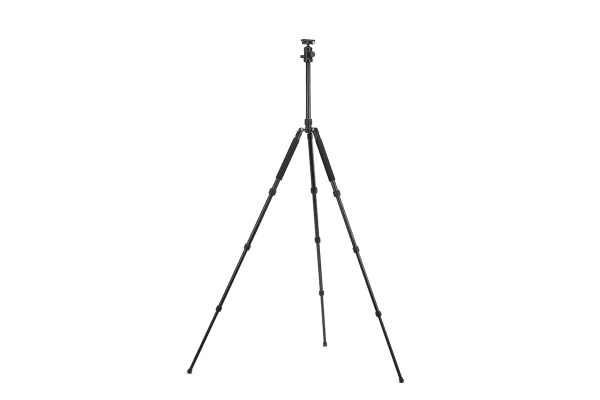 This greatly assists in uneven outdoor environments and ensures your photography is crystal clear. When your shoot’s wrapped, simply fold down to a height of just 60cm and place it in the fitted bag for easy and compact travelling.